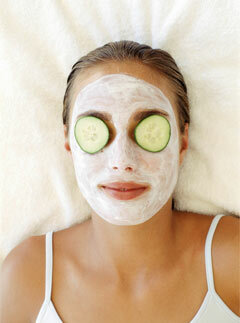 Deep Cleansing Facial: Relax as we use Arbonne’s "Intelligence Line". We’ll start with a thorough cleansing of the skin followed by a toner. Your skin is then exfoliated for that smooth, soft feeling. Next we apply hot towels to steam your skin in preparation for any extractions (optional) in the T-zone area. While you are relaxing with the hot towels we will administer a hand and arm massage followed by a massage of the neck and shoulders. After removing the towels we massage the face. Finally we apply a facial mask and eye cream to leave your skin looking healthy and young.